Tantalum has great performance as corrosion resistance and very high melting point. Making it an ideal material for corrosive chemical reactors, heat exchangers and crucibles. Sometimes tantalum was also processed into capillaries to be applied in medical equipment. 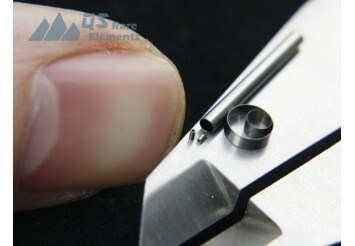 QS Rare Elements has sufficient supply for tantalum materials and accept small quantity order for custom products.